These guys aren't as creepy as they look! 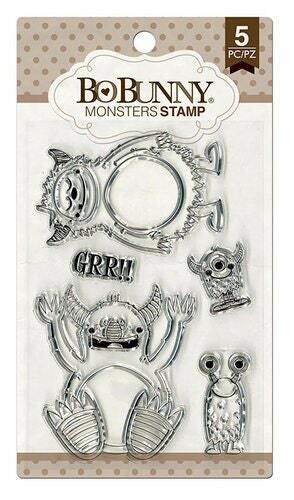 You'll love creating friendly monster-themed papercraft projects with the Monsters Clear Acrylic Stamp Set. Included in this set are five clear acrylic stamps by BoBunny that come on a 4" x 6" storage sheet.